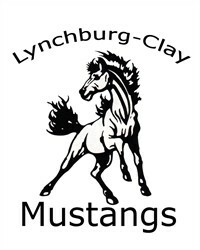 Welcome to the Lynchburg-Clay Local Schools, home of the MUSTANGS! Lynchburg-Clay Local Schools is located in Western Highland County within Appalachia. Unlike much of Appalachia, Highland County has few mountains, hills, or ridges; instead, it is dominated by family farms—75.3 percent of the county is classified as farmland—and dotted with small towns that hearken back to the early 20th century. As you drive through the region, you sense that this is a unique rural area where the ruggedness of Appalachia transitions to the sprawling farms of the Midwest. The school system is the centerpiece of the community, offering area residents a sense of place, pride, and purpose. The communities of Lynchburg, Buford, Pricetown, and Danville make up the Lynchburg-Clay School District. Our schools have been rated Excellent by the Ohio Department Education. We take great pride in our schools so please continue to visit us as we add content in the coming months and share our student’s success in the coming school year! The videos are a compilations of home movies of residents of the Village of Lynchburg, enjoy.